It seems that in the price range I'm looking at (under $500, obviously!) the Delonghis tend to get favourable reviews, better than similarly priced Brevilles and Sunbeams. So, I think I might get a Delonghi (but, then, the fact that I'm asking for advice, I am open to change). Machines I've been looking at are the Icona ECO310 (~$180 - $249); Dedica EC680 (~$280 - $369); Distinta ECI341 (~$259 -$329) and Scultura EZ351 (~$279 - $329). Would I notice a big step up from the Icona to any of the other three to justify the higher price? Am I wrong in excluding Sunbeams/Brevilles? Steam wand: my Sunbeam had a simple steel wand and I found I could generally create a nicely textured milk. But I've now found out that some of the machines have a "panarello" wand which seems to create big bubbles? But I thought the aim was small, micro bubbles? So, if I do buy a machine with a panarello wand, can I remove the plastic cover and use any of them as a straight out steaming wand? And, some background info that might help the advice process: I have my own grinder and buy beans from a local guy who roasts his own. My drink of choice is just a flat white. And I probably have about 3 a day. Nice summary Arfagato. You may not get much response here in relation to those Delongi's - most on this site would generally advocate spending a bit more and will not be all that familiar (I'm not) with the differences between those particular machines. Two obvious questions for you. Would you consider second hand? Many machines a bit more expensive are designed to last a long time when operated properly. Used machines are often advertised on this site. What is your current grinder? The grind is all important. With a more high-end machine and a decent grinder it's non-pressurised baskets for an authentic crema. You have said that you're happy with your results, to date, and, in that case, maybe you don't need a machine that's more high-end. It's also possible that, if you served the average 'snob on this site, he/she might not consider the quality of the shot meets their minimum requirements. You haven't put your location but if you're in Perth I have a Sunbeam EM6910 I'm just about to put up for sale for around $200. Even if you're not interested in buying second hand, you're still more than welcome to come over and I can pull you a shot so you can get an idea of what the new version might taste like though that will be stretching your budget a fair bit. I have just upgraded to a BES920 so while you're here you can try that also. It lets me play with my new toy and you can get an idea of what difference a higher end model might make. I hadn't considered second hand, but might do that. The grinder is a Sunbeam EM0480. Thanks for the offer MrFreddo but I'm on the east coast so, factoring in airfares, the budget definitely would be stretched! I reckon the best options in this price range are a Gaggia Classic (occasionally found new on sale for around $500), a Sunbeam EM6910 (again would have to be on sale, but it can be found under $500), or something like a Saeco Via Venezia. There's a reconditioned V3 for $500 if you'd be willing to hit that high. Snobs pull no punches! And the sh*tfights here can be bloody entertaining! If you're willing to entertain the idea of second hand I would probably avoid the Saeco. While some people are genuine fans the boiler size is just tiny. Just as I would avoid cheapie thermoblock machines. Bigger thermoblocks like the EM6910 are better and small (but not tiny) boilers like a Gaggia Classic or a Lelit are worth considering. 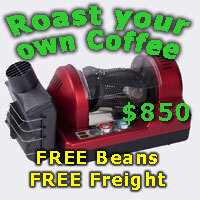 'Newish' EM6910s/7000s and Gaggia Classics are easy to pick up second hand cheaply - certainly well under $500. The Sunbeam may not last as long but is more capable of making many cups in a single sitting. Fairly good news on the grinder front - the EM0480 will be adequate for the machines above. But espresso machines are notoriously unforgiving on the quality of the grind compared with other methods of making coffee. In terms of espresso machines, if you were starting out from a blank sheet, or had a higher budget, I would encourage you to aim higher on the grinder. Would I notice a big step up from the Icona to any of the other three to justify the higher price? Not really. Am I wrong in excluding Sunbeams/Brevilles? Yes. Having owned 2 6910s (still alive, the August 2008 going strong) and one Silvia (nine troublefree years), either are reliable IF maintained correctly. If you intend frothing milk for a flat white / latte / cappo / "milk whatever" the small boilers will drive you mad - be forewarned they take too long to switch, so I would tend towards the 6910. Getting a good one secondhand may be tricky unless you know a good CSr / repairer to check it out. If your 480 is set up & maintained correctly it is easily good enough for your next step up in machines. Yes, it was pressurised unless you found an aftermarket non-pressurised one - very rare. Hold the back of the basket up to some light: pressurised have a very small hole, "proper baskets" are like a strainer - a lot of holes over most of the base. Crema - your 480 was wasted on those baskets. After some tinkering you will get far better tasting crema from proper baskets. ... and a 6910 / 7000 has an even better wand to create true microfoam. You may start on lattes instead of flat whites. I see more tinkering in your near future. Harsh but true, for some people. Others not so much. By having another machine to do the frothing... Then I also had a manual lever Electra which meant Miss S often did the frothing if I had the time to do the whole "arcane coffee ritual" with Miss E. In hindsight, more than three quick cups was "put your analyst on danger money" (Hitchhikers Guide to the Galaxy) territory. Amazing what coffee fiends will put up with in search of a decent cuppa. My other place at the time had a 2 group La Pavoni - not as good a cuppa as Miss E but so much easier (after plumbing the SOB in and getting a 15A outlet). I haven't been ignoring you (although my action (inaction?) might indicate otherwise) but have been doing some reading/cogitating/mulling. And have reached a point of information overload and decision paralysis. So, thank you all for your input above and hopefully for some further info/advice/opinions/suggestions. I think that part of my problem is that I've lifted my budget (perhaps taking me out of this forum to the next price-point up) and, therefore, increased my options. I've done some reading about the Silvia and the Classic and found I was getting tangled up in loops. Then, after stopping thinking about it all, come to the realisation that perhaps they are both good machines for what I want and that any differences are only subjective. THEN, I started thinking that my decision to exclude machines by Sunbeam and Breville was not made on any really sound grounds. And I see that there are people in this forum who are quite happy with these machines. I was talking to my coffee guy at our local markets who wrinkled his nose when I mentioned that I had looked at Delonghis at the beginning but says he has other customers who are happy with the Cafe series machines. BES870 - at Harvey for $700. I noticed you were recommended to consider a Gaggia Classic,just happens I have available a very fine example of just that,I'd be happy to send your way ,including postage to your address. Attached image of the exact machine,you will notice there is no plastic drip tray as I disposed of that a while ago,so I could fit mugs under the group outlet.This particular machine has the usual Rancilio frother wand installed too. If you wish to follow this up,your most welcome with a "pm". Thanks for the offer, Mick, but due to factors, (my procrastination, my non-noticing of my wife's desire to be able to give me something for Christmas), I think I am going to pull the trigger on the 6910. The fact that I'm spending more than I had originally indicated above is proof that my wife wants me to get one sooner rather than later, and happy wife, happy life! Maybe in the future, I will go down the Italian machine path. But at this point, am prepared for the "risk" of the 6910 being better than what I had! Thanks to all for the advice/suggestions above. They have been appreciated. FWIW, having owned both 2 6910s and a 7000, in terms of SWMBO & user friendliness (so much quieter and less maintenance) I would recommend the extra $100 for the 7000 every time UNLESS you like to be more hands on. Every time I put my 6910 on the bench I get bitched at. Coffee: with a little tinkering, identical in the cup. The 7000 is slightly easier to dial in. Milk: For newbies the 7000 is easier to get reasonable microfoam initially. Once a bit of experience sets in, the 6910 is actually easier to get top flight microfoam (with all the extra sweetness that goes with it). Even after a year+ playing with my 7000 the milk frothing ability still reminds me of most automatic cars - always gives you something near the gear you want until you beat it into submission. Either will be a huge upgrade in your case, as long as you get a SB EM480+ (manual, more hands on) or Breville Smartgrinder+ (more auto in the nicer, user friendlier sense) to go with it. Sounds like a good XMas for you. Enjoy. I finally pulled the trigger yesterday on the 6910 (machine and grinder pack) - $549 from Myer (is this an example of forum creep, and any future posts from me will be in the next bracket up?!) I'm used to the complaints about the noise! But wife is happy because I now have my Chrissie present. And my journey (and learning curve) continue.